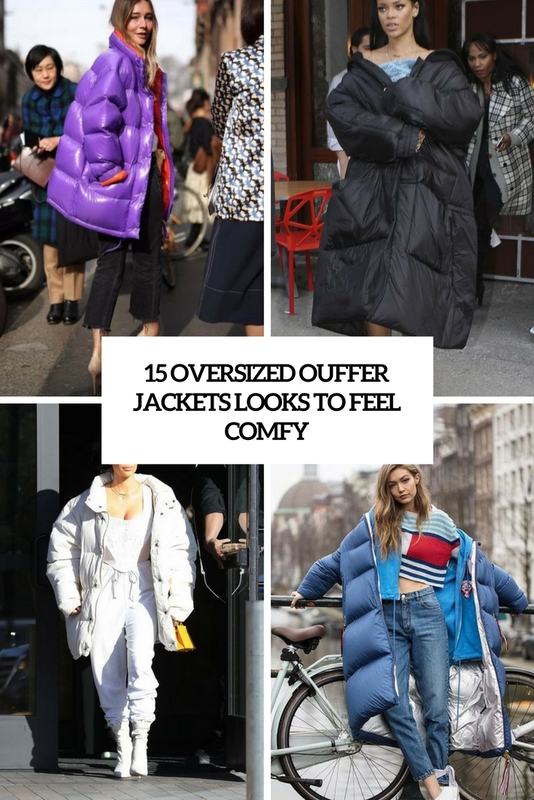 Oversized clothes becomes more and more trendy and hot, and puffer jackets and coats seem to never go out of style – there are no comfier clothes for the cold seasons that looked super modern and felt cozy anytime. 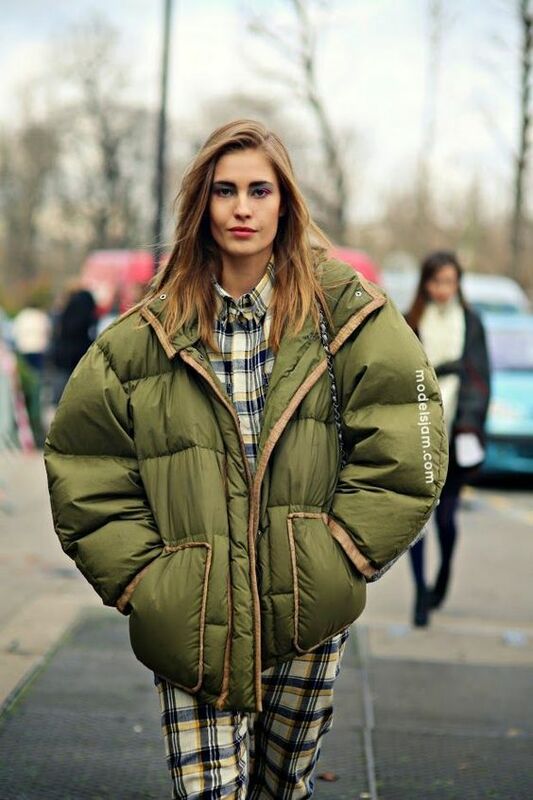 Mix these two trends in one and you’ll the hottest trend this year: oversized puffer jackets and coats. 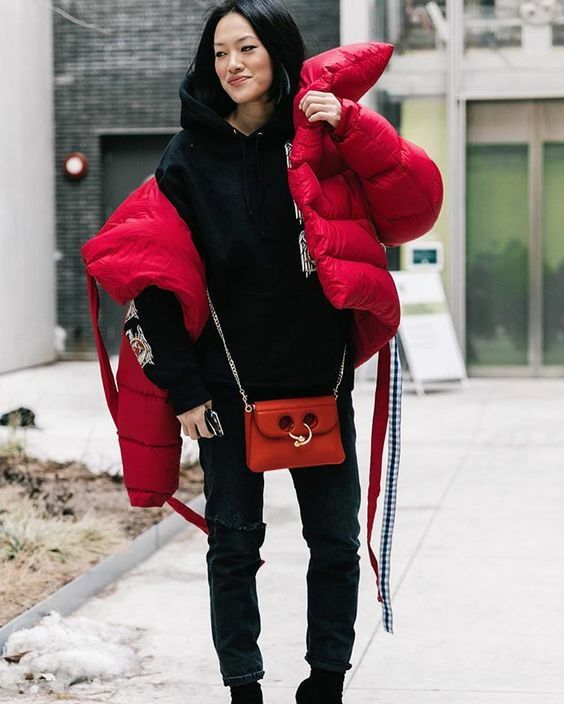 If you want to feel warm and super cozy, this is the right thing to wear and you can rock it in many bold colors – don’t be afraid to make a statement with it. Let’s consider the trendiest ideas. 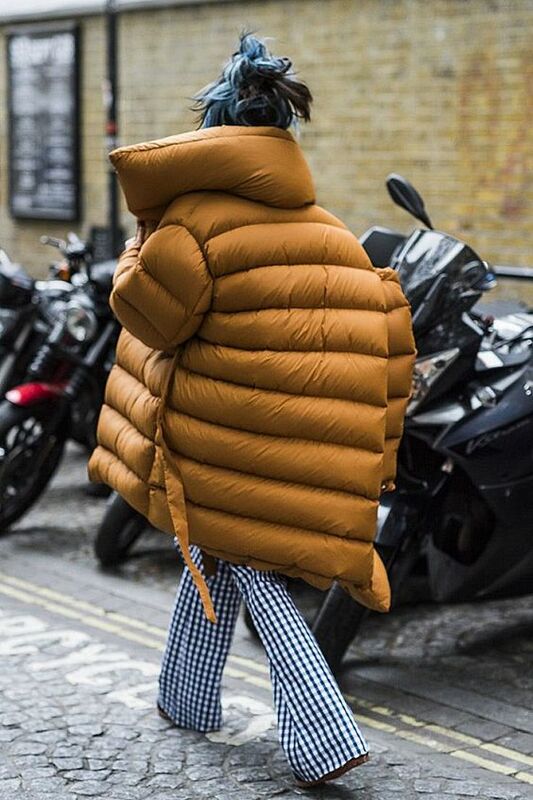 Even if it seems ridiculous, let’s face it: super colorful oversized puffer jackets and coats are the hottest winter trend. 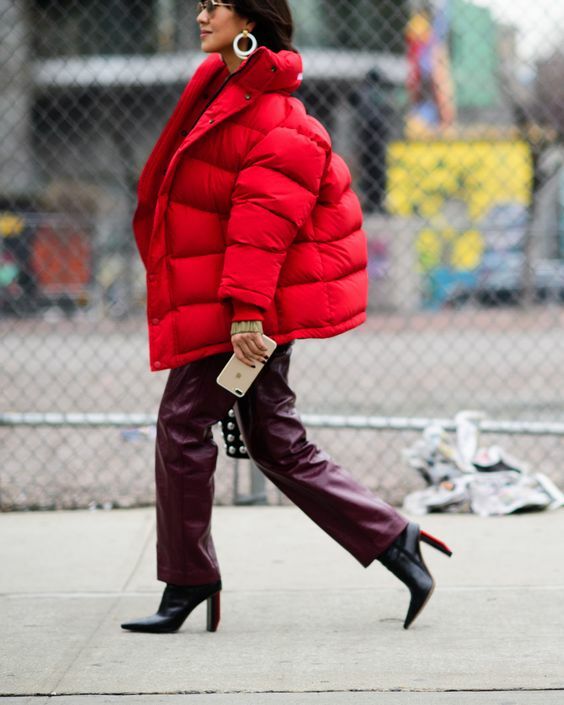 Don’t hide your coat, make it a colorful accent! 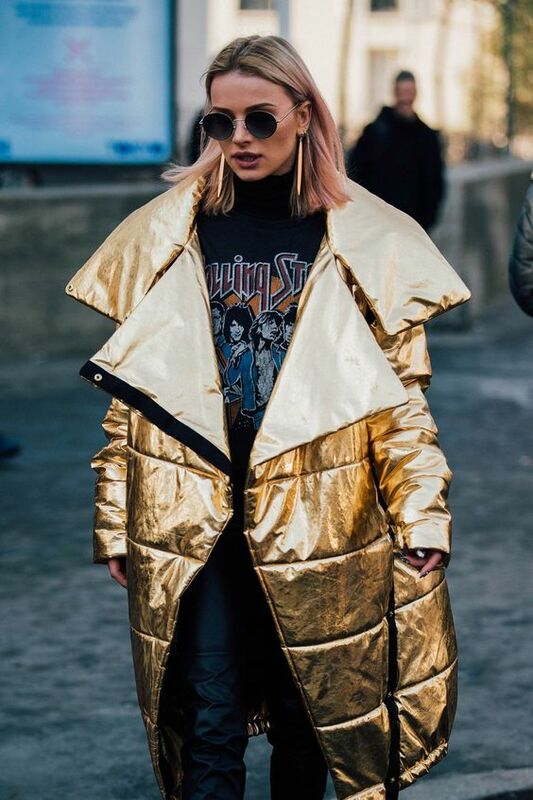 It may be red, pink, blue, green, mustard, orange, yellow – any color that you like, and it’s sure to make your look super trendy, whatever you pair it with. Pay attention to metallic ones, too – they look wow. 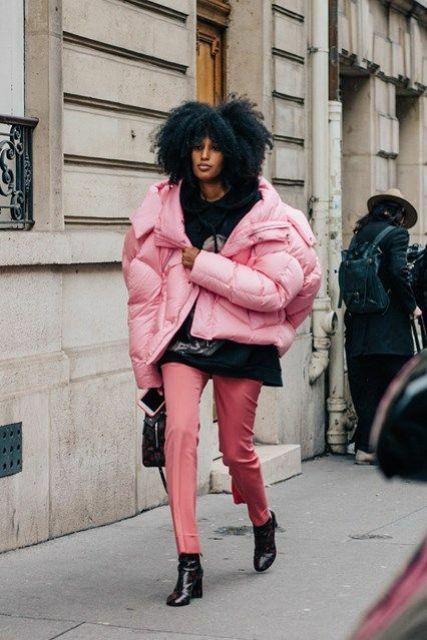 If you like the trend but still want to adapt it for yourself, you can go for an oversized coat or jacket but of a basic color not to look so crazy. This is exactly what many fashionistas and celebrities are rocking now: white, beige, black, navy are proper shades for a trendy modern look.